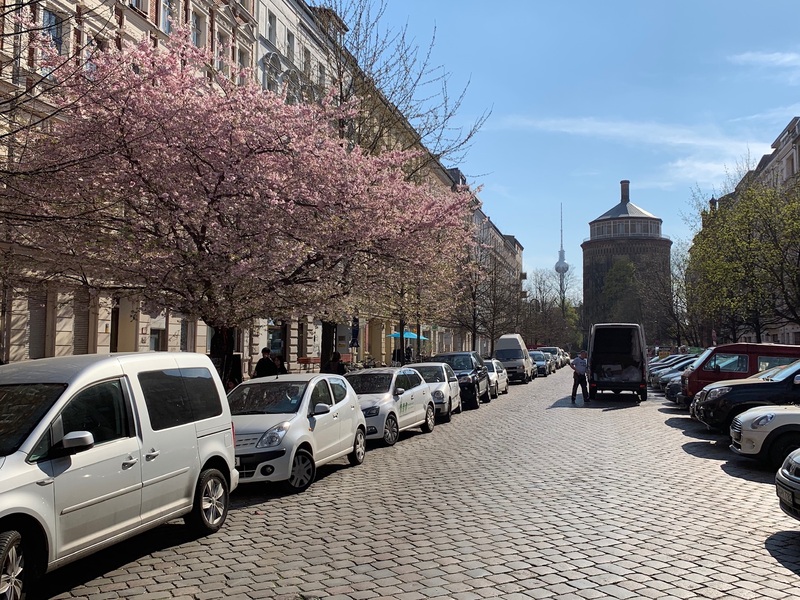 Berlin is blooming again! 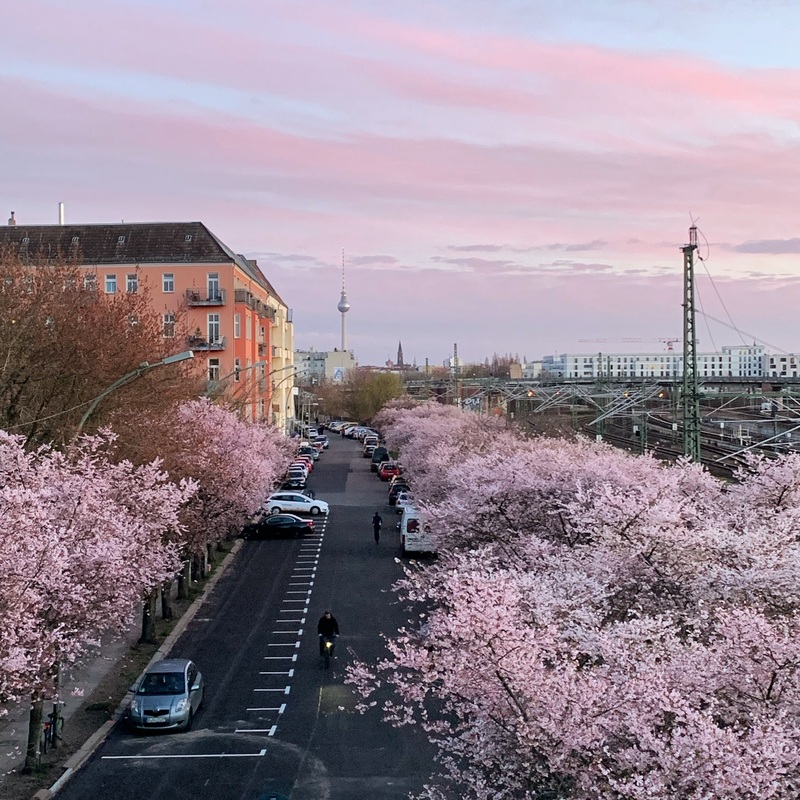 And if you are in Berlin in early spring (the timing of the blossom is uncertain every year) we highly recommend you spend at least half a day enjoying its cherry blossoms. Yes, Berlin has quite a few places where you can enjoy this very short spectacle of nature. As you walk through the streets you will certainly bump into a few of these beauties, but if you would like to truly understand the visual power of these blossoms, we highly recommend you visit the places listed below. Take note that the blossoms usually last around 10 days only, so make sure to enjoy them while they last. Norwegerstrasse viewed from the Bösebrücke. 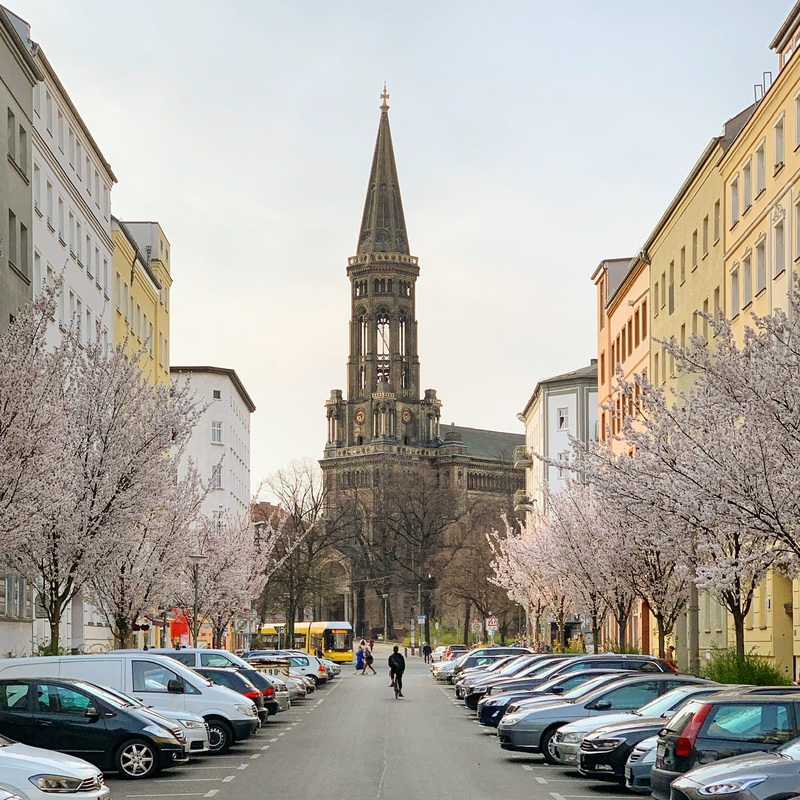 There are two main “Cherry Blossom Avenues” in Berlin. And they are both located along the “Berliner Mauerweg”: The trail that follows where the Berlin Wall once stood. Isn’t that amazing? 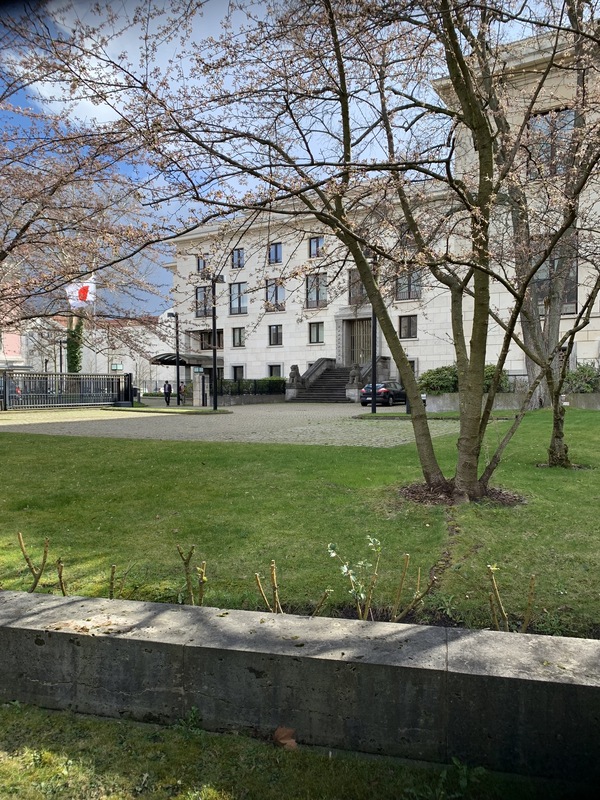 Where once the Berlin Wall stood, we can now watch the cherry trees blossoms! One is located around Lichterfelde Süd Station and the other around Bornholmer Straße Station, on Norwegerstrasse. Both are beautiful. It is really your call as to which one to visit, but the Lichterfelde stretch is more impressive. If you decide to go for the Bornholmer Straße stretch, walk a bit further south and explore Schwedter Strasse’s nothern tip as well. When in doubt, well… visit both! 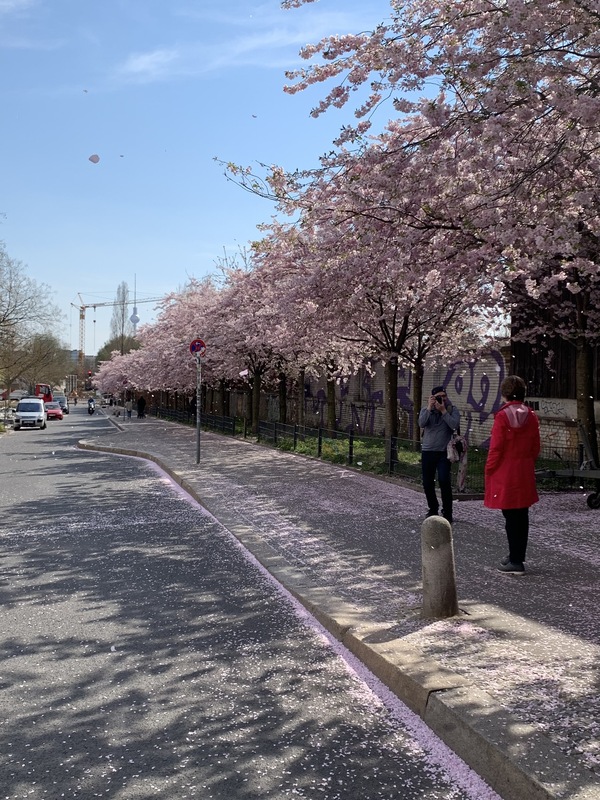 And the Story behind this amazing cherry blossom spots is: Apparently, as soon as the Berlin Wall had come down, a Japanese TV show asked the people of Japan to help raise funds for cherry tree donations to Berlin. It was a gesture in celebration of the German reunification. 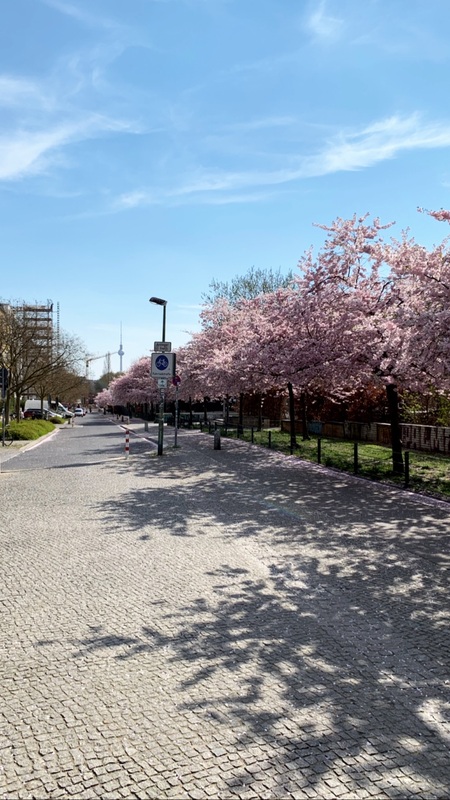 Most cherry trees you see in Berlin today, come from this “batch”. There were two stretches along the Berlin Wall where the trees were planted in a way that resembled the Wall path. Also, these are the longest stretches of cherry trees around the city. The Lichterfelde stretch, for example, is about 2 Km long! Make sure to check our Instagram (or do a geotag research) before you go. This should give you a timing idea. 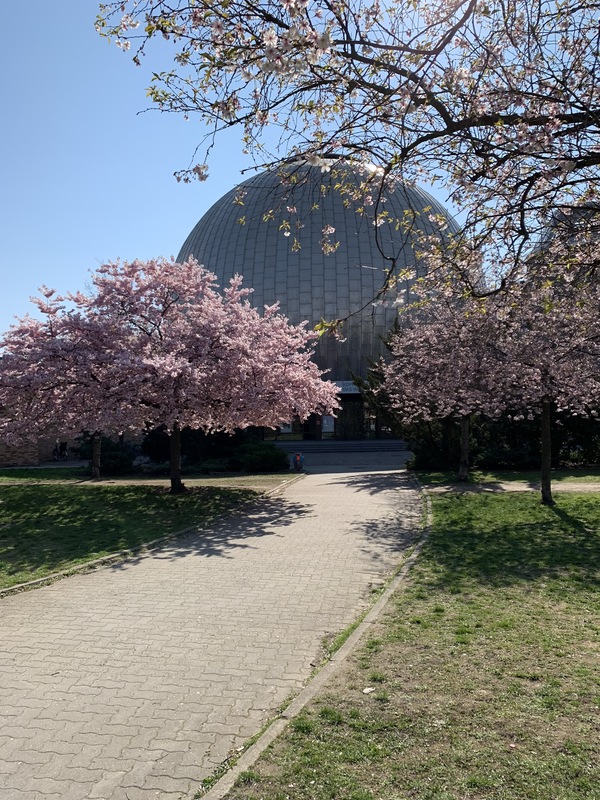 The stunning Gärten der Welt’s Japanese Gardens is also great for Cherry Blossom gazing and they have their own festival. More info here.